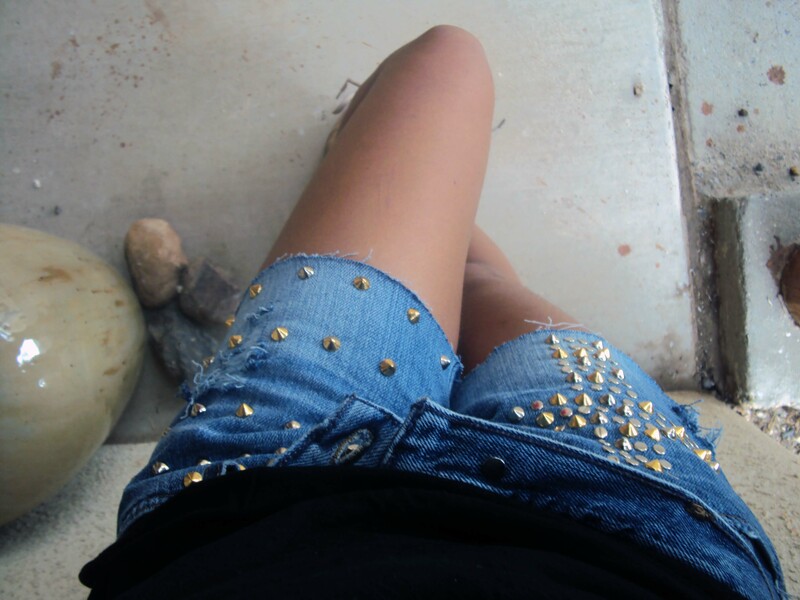 It’s a rainy day here so what better way to spend it than customizing a pair of cut offs?! So here is a quick DIY! Lets get started! 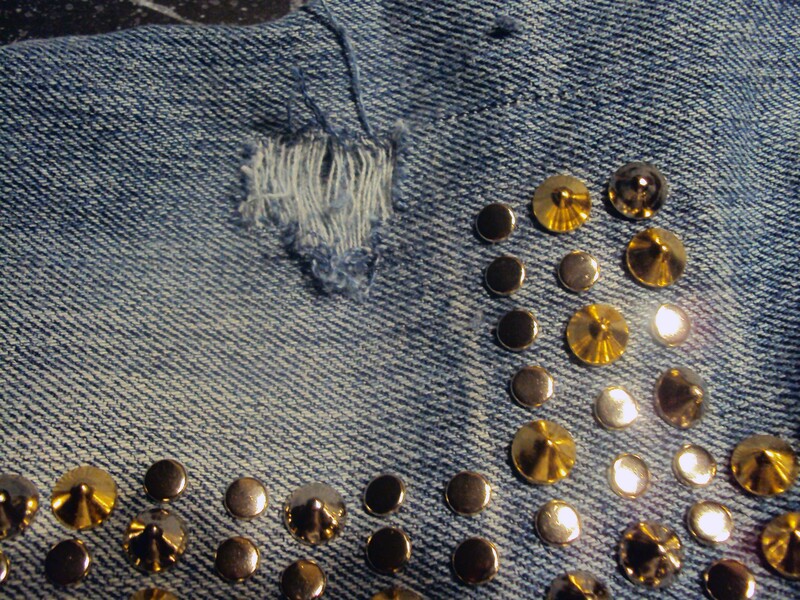 Adding the studs is easy! 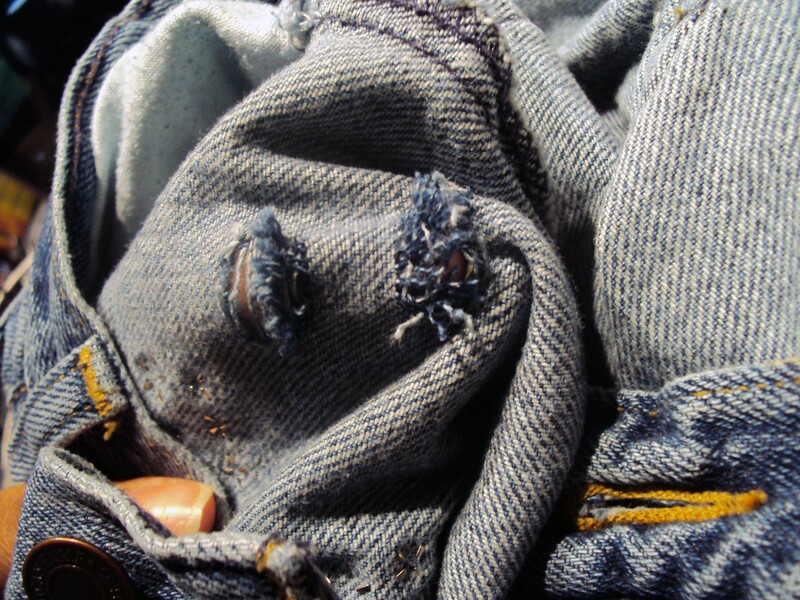 You simply push them into the fabric and fold the prongs in on the back side. I began laying them out in a cross pattern! 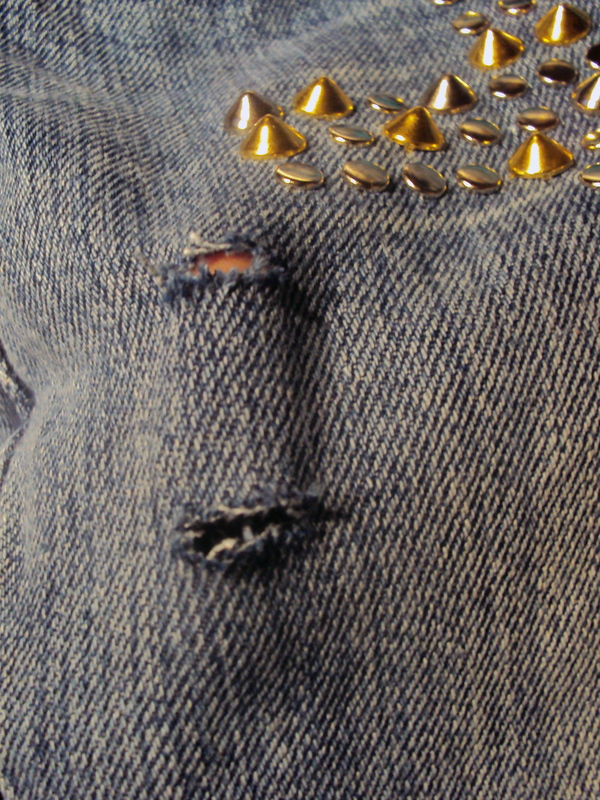 I then added rows of studs on the opposite side because I felt it was kind of bare! 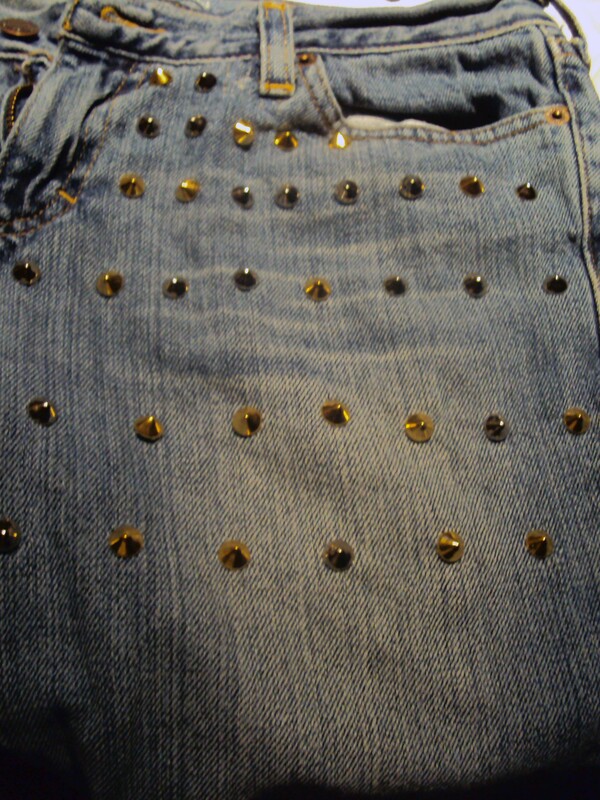 Once all the studs were added, I decided to distress the shorts. Here is quick step by step on how to add some controlled holes and tears. 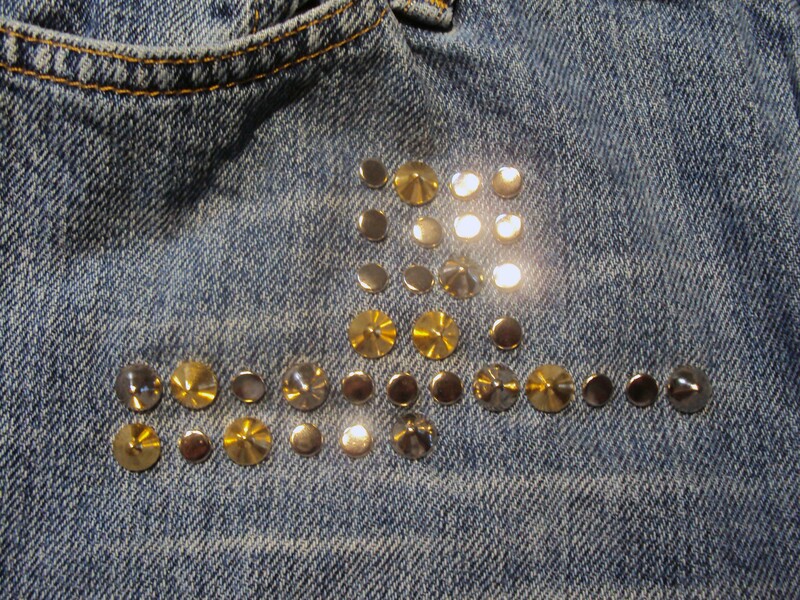 With your shorts laid out in front of you use your seam ripper (or a pair of sharp scissors) to cut two horizontal slits, the distance of the slits is up to you! 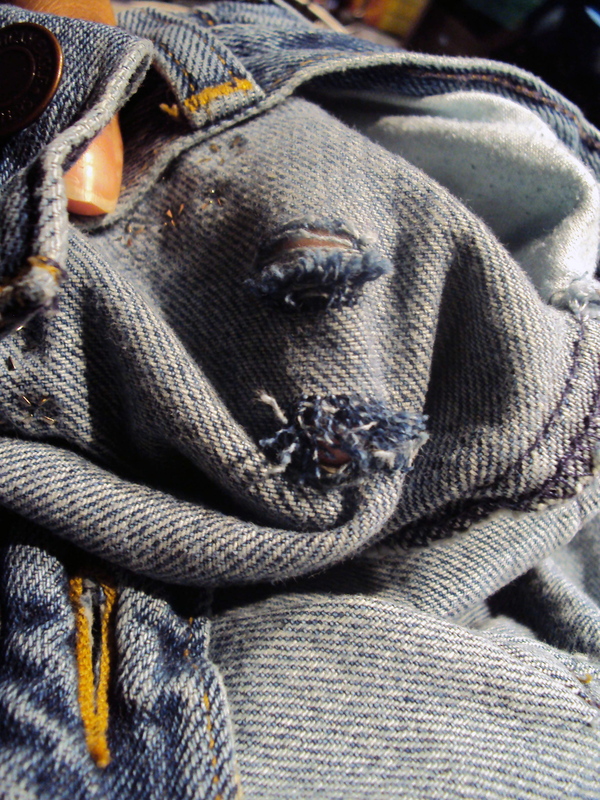 Turn the shorts inside out and begin to separate each horizontal thread, by pulling it towards the slit you made. 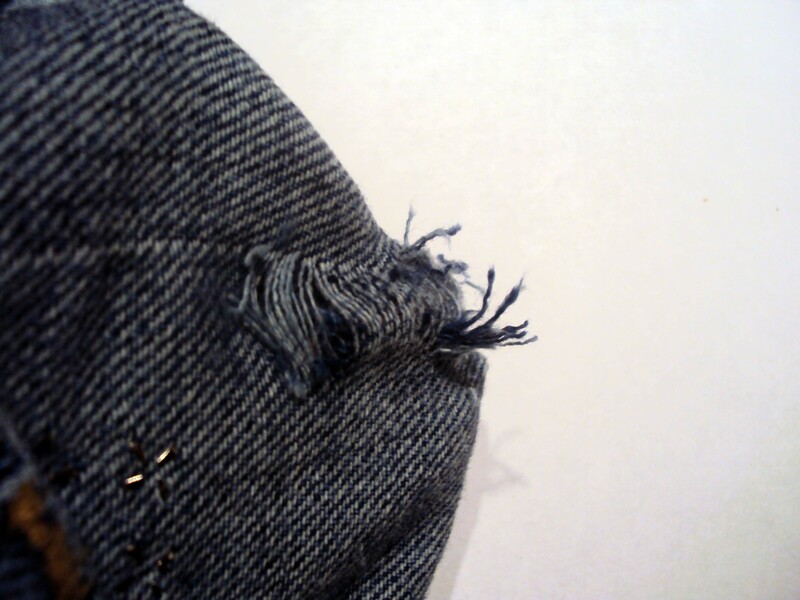 Be sure to keep the horizontal thread in tact. You should begin to see the ends of vertical threads pop out. Once you have enough of the vertical threads exposed begin to pull them free. 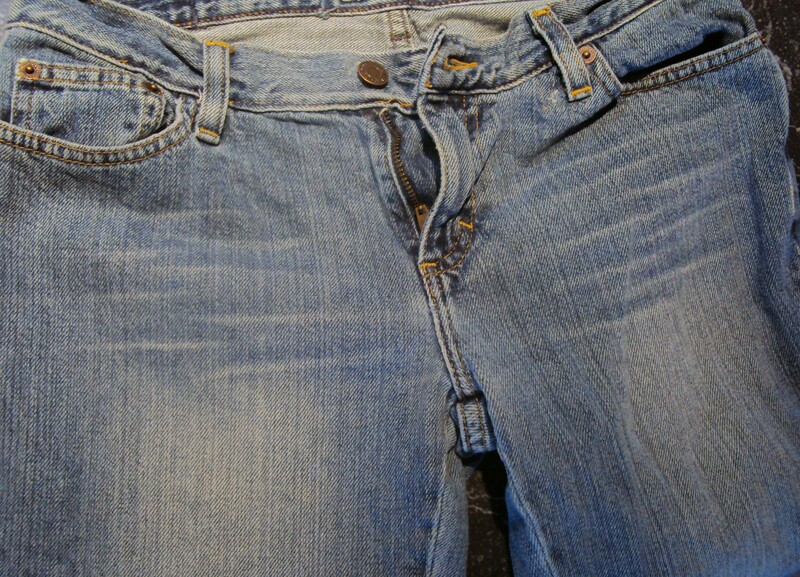 When you turn the jeans right side out this is what your hole should look like! Continue to manipulate and snip threads until you have the desired size and shape of your hole! Here are the finished shorts! 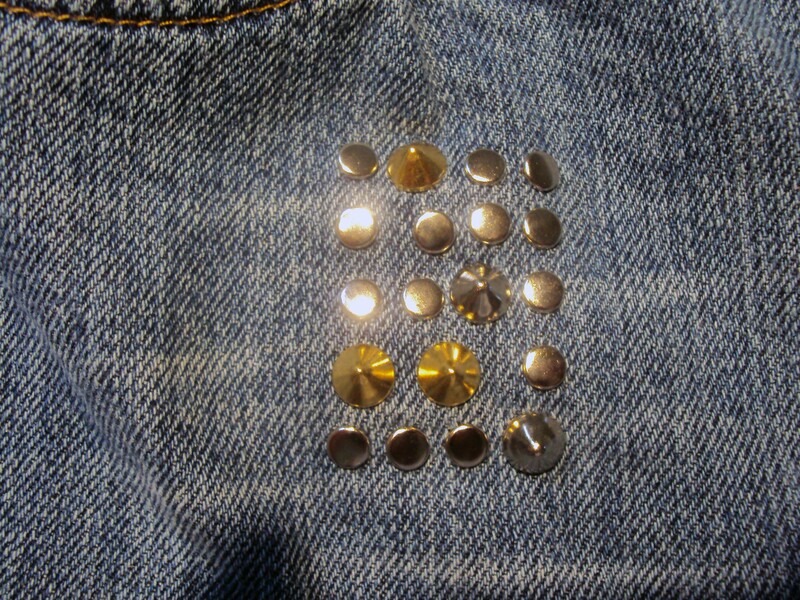 I added some studs to the back pockets as a last minute addition, they were screaming for some stud love! My Bijon (Aston) Wiggled into the picture, he loves the attention! Great DIY project-thanks for all the step by step details. Love the last photo, you look beautiful! Nice shorts! 🙂 Where do you usually buy those studs? Thanks! 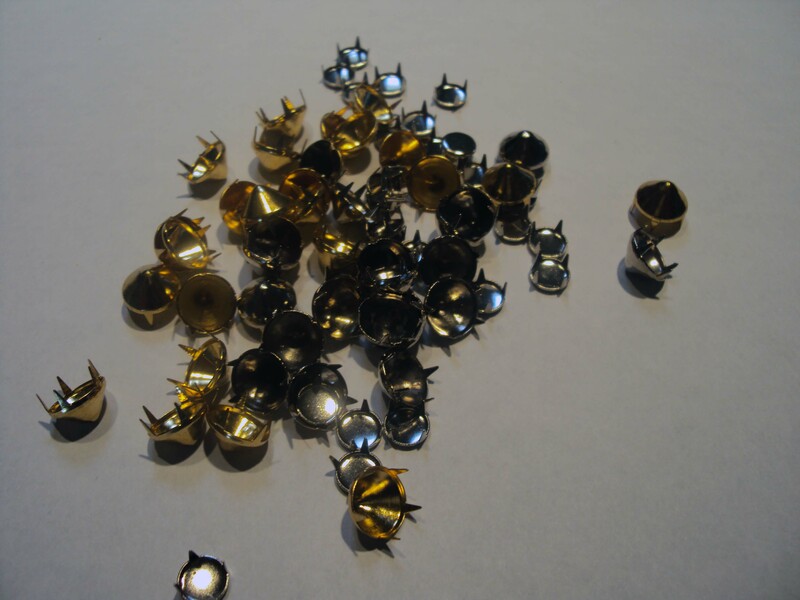 You can sometime find studs at your local craft store, such as Michael’s but I have also bought studs from studsandspikes.com they have a great selection! Sure, send me a link and I wouldn’t mind giving it a try! Oh, I wish I can give one but any wrist band made of shirts (probably denim too?) will do. You are absolutely gorgeous and I simply adore these boots. 🙂 Thanks so much for your sweet comment! 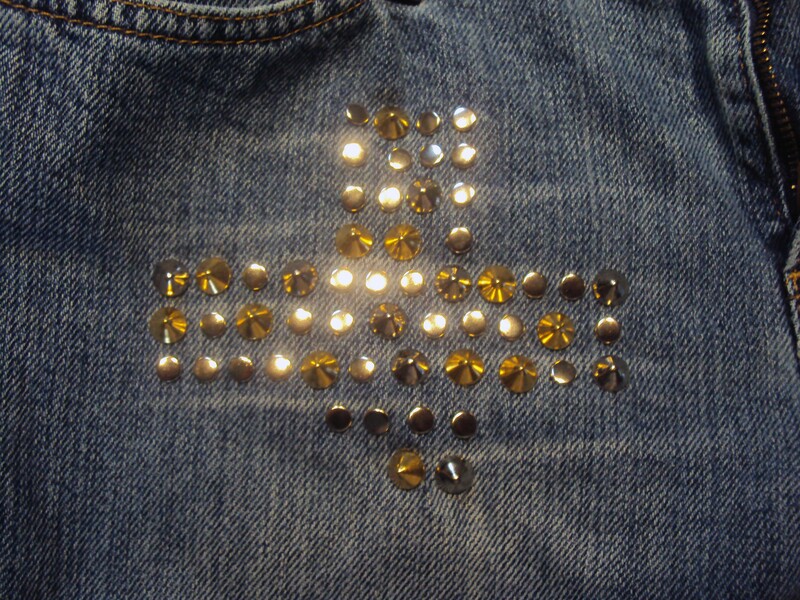 Hmm… now you have me wondering what I could make better in my closet with a little bit of embellishment. Awesome DIY idea! There are so many possibilities! 🙂 thanks for stopping by and leaving a comment! These are too cool for school! Awesome DIY. Those shorts look fantastic. 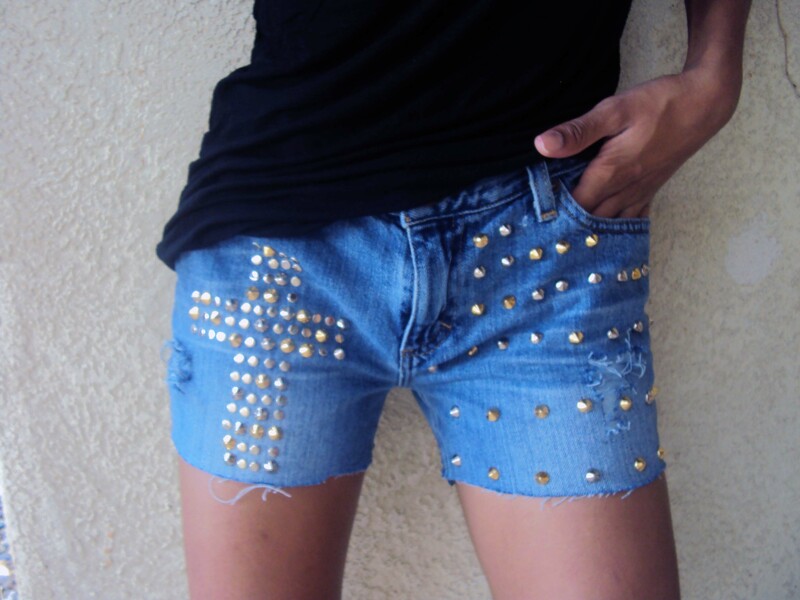 WOW,I adore your DIY!! !Thanks for sharing this wonderful idea!!! 🙂 Any time! Thanks for stopping by!